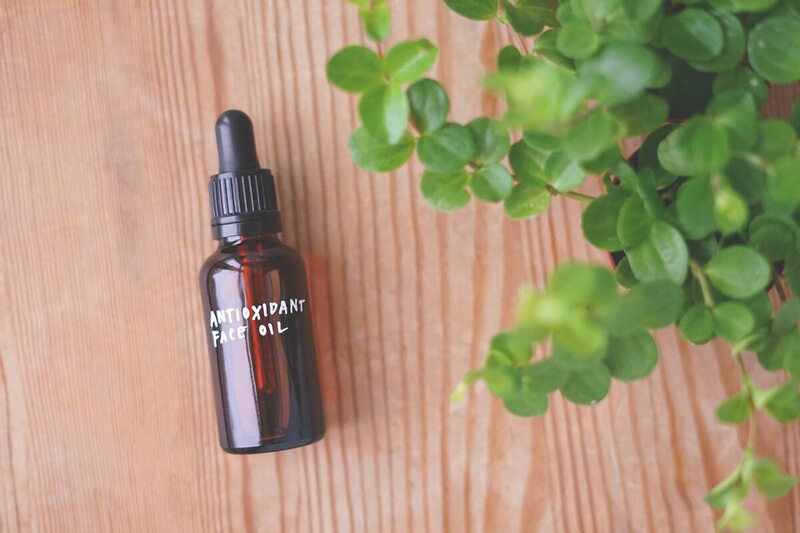 This face oil is jam packed with antioxidants and beneficial fatty acids. The ingredients are highly concentrated and absorb very quickly into the skin, without any greasy residue. Use this as a serum or, even better, mix a drop or two into your favourite face cream to give your skin an extra boost. 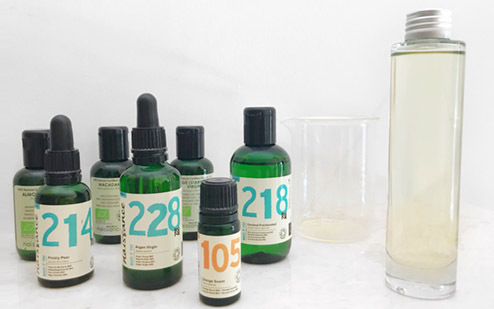 Calculate the recipe by multiplying the final weight or volume of your face oil with the percentage above. 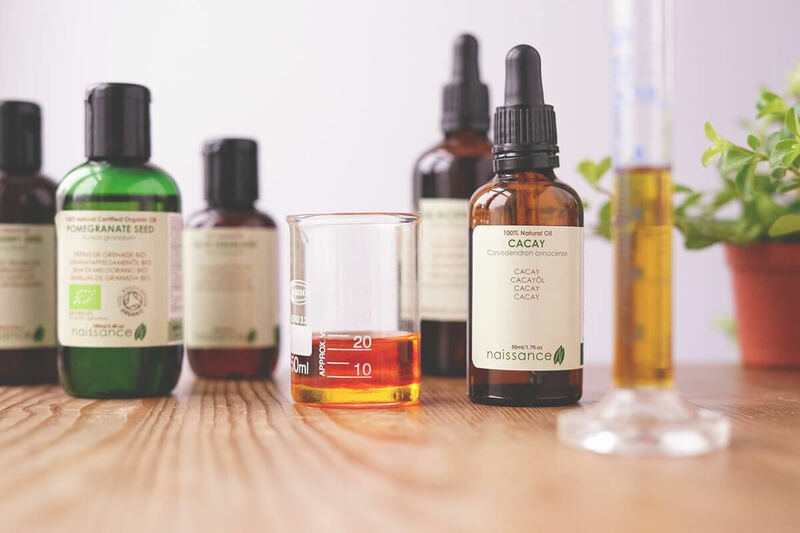 If you for example would like to make 30 ml of finished product, you need 9 ml (30% of 30 ml) of Cacay oil. Then simply mix the ingredients in a clean glass beaker or directly in the bottle. Amber dropper bottles are perfect for this. To use, simply warm a few drops between your hands and pat on to moist skin. If you have dry skin, it works really well mixed in with your regular moisturizer. 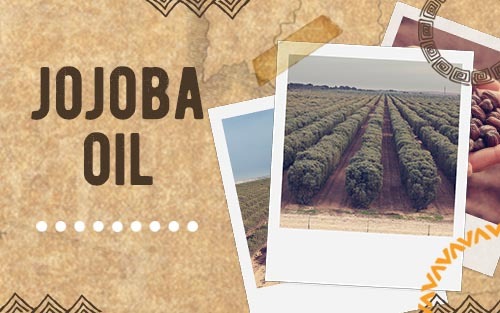 The oils here are carefully selected to complement each other. They cover the full range of unsaturated fatty acids, and especially the polyunsaturated omega 3, 6 and 5. Omega 5, also known as punicic acid, is unique to the pomegranate and well known for its antioxidant effects. All of the oils are also extra rich in skin-beneficial unsaponifiable components such as vitamins and plant sterols. The star in the mix is Cacay seed oil, which is uniquely rich in both vitamin E and tretinoin, a vitamin A acid (not to be confused with actual vitamin A which is a little different). 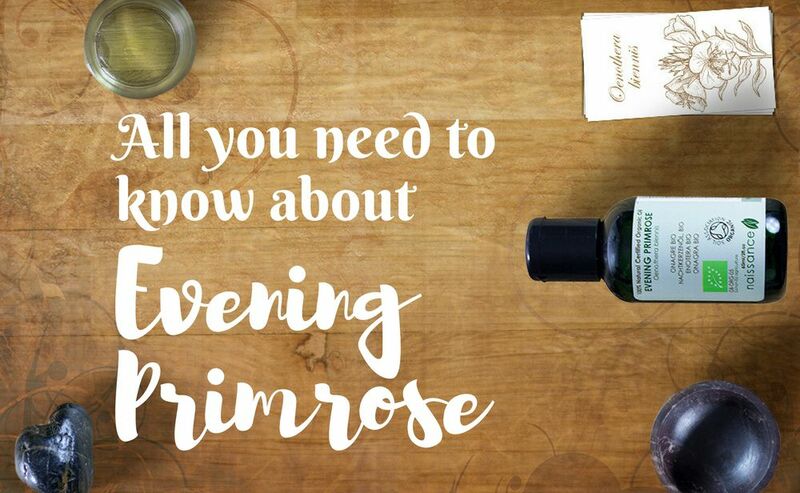 It also boasts high levels of linoleic acid, which has been shown to strengthen the skin barrier (see for example Vaughn et al., American Journal of Clinical Dermatology, 2017). Squalane completes the picture; a natural component of our sebum that helps soften and protect the skin. It also makes the consistency of this face oil a little smoother, as most of the other ingredients are pretty dry to the touch once they have absorbed. Enjoy using this bright orange super face oil! Anna works in advertising by day and formulates skincare by night. She is the creative force behind the Instagram account @anna_makes_skincare and the Swedish blog Hudvårdsverkstan.se. 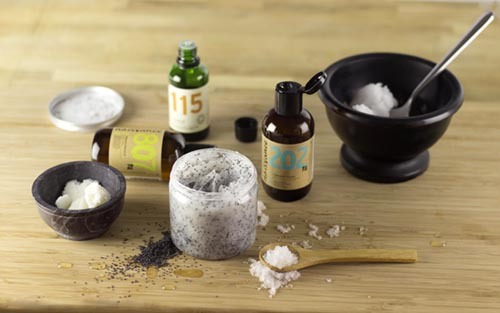 Anna also organizes regular DIY skincare workshops in Sweden. Anna says, "DIY is all about responsibly sourced ingredients, freedom from the mainstream beauty industry and using self-care for self-love ❤"